A blog about, but not limited to the Femme Fatale in cinema. Posted by vonsamuel under Von's lists, and other goofy trinkets. It is Oscar night, and though I have very little interest in the winners and losers, I do still enjoy the spectacle and the speculation. In anticipating the ceremony, I began thinking about some of my favorite films, and how many of them really never had a chance to be recognized by a group such as The Academy. Whether it be a film that shunned the status quo, flew under the radar, or simply offended the sensibilities of The Academy, these are 11 films, that I’ve seen, that I think best fit this description , films that the Academy more than likely balked at the idea of awarding a trophy too in a major category. Now, mind you, it could have been much bigger than 11, but these are the 11 films I like the most. I won’t pretend to be some sort of expert on the subject. In simpler terms, I am making a list of some of my favorite films that I feel never got their just due, for whatever reasons I may or may not feel like speculating. Now, some of these films were in fact nominated for an Oscar or two, and even won in some “lesser” categories. 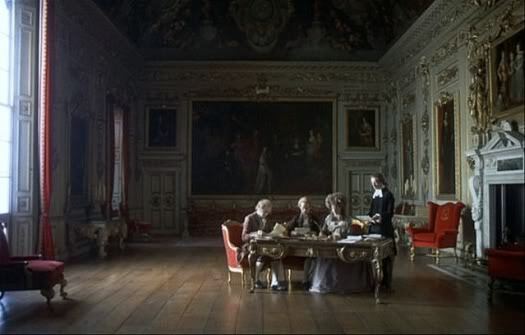 But the nominations and wins were more for names attached to the films or for technical achievements that were difficult to ignore, Barry Lyndon, being the best example. Surrealistic perfection in every way. I found it was put best by a friend of mine, when he said “Stalker is more of a feeling than a film”. Perhaps it was overlooked because it came from the Communist Soviet Union, I’m not sure I can gauge the Cold War bitterness, or care too. 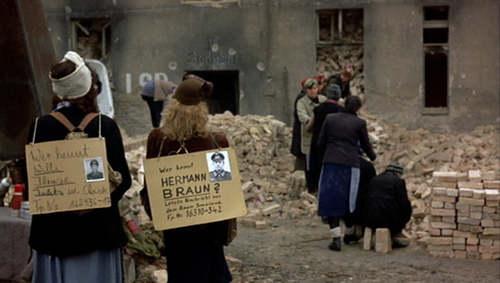 This entry more or less represents all three films in Fassbinder’s BRD Trilogy, Veronika Voss and Lola, being the others. 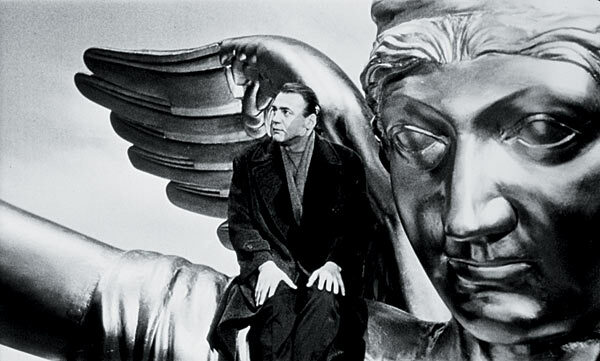 All three films are his artistic comments on post-war Germany through feminine eyes. I admit that I had difficulty digesting this film upon first watching it. I was obviously taken with its visual grandeur, but the narrative escaped me. It wasn’t until time had passed, and I found myself replaying the film in my mind, did I get the feeling of a presence that accompanied my every thought of it. It was almost as if I had seen a theater of ghosts play out the emotional heights from their lives. Yes, this film was nominated for several Oscars, and won 4 of them, including best cinematography, but its nominations for Best Picture, and Director were unpopular choices for many critics, that widely panned the film. I’m not sure why it is so unpopular either. Every frame is a meticulous work of art, and every character has an unmistakable sadness that accented the visuals. Maybe because the main character was *gulp* unlikable. This isn’t a very popular film among many Scorsese aficionados, but I’m not a Scorsese aficionado, so it is my favorite of his films. It is quite a departure from every film of his that came before and after, a film with next to no plot that simply follows an average guy down the rabbit hole into the underbelly of society. I think it is Scorsese’s most daring, and humorous film. A sweeping metaphorical look at the frailty of life on both sides of the Berlin Wall. 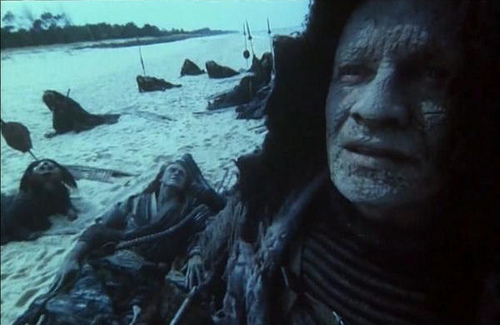 Wenders never fails at capturing tasteful sentiment, and poignancy. Other than the obvious, I’m still not sure of all the ideas Bergman was working with for this film, and perhaps he was never sure either. But, like so many of his films, Persona provides the viewer with unique perspectives on human identity, sexuality, jealousy, and longing, and then lets our perception take care of the rest. It’s amazing how David Lynch managed to make a film, in Inland Empire, more divisive than anything he had done before, which speaks to the uncompromising nature of the film. Empire is a 3 hour nightmare, in the greatest sense of the definition. My favorite Cronenberg film, partly because it seems to separate itself from the bleak, nihilistic nature of many of his other films, and focuses on a very human relationship of two brothers, that in a morbid way, was heartbreakingly real. Even if Andrzej Zulawski had been able to complete this film in the vision he had intended, I have very little doubt it would have been dismissed. But, despite it never being completed in the original vision intended, it is still a fascinating film that more than transcends the sci-fi genre. 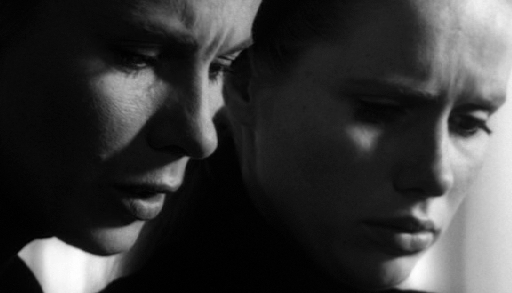 Bergman covers a great deal of ground with such a stark film. The suggested taboo relationship between sisters told through the eyes of a child, naively dealing with his own Oedipus complex. It’s the subtle nature of the film that makes me love it so much. Bergman delicately treats every character in the film like wounded birds. Good list. Is Stalker really surreal though? Just asking, I haven’t seen it. 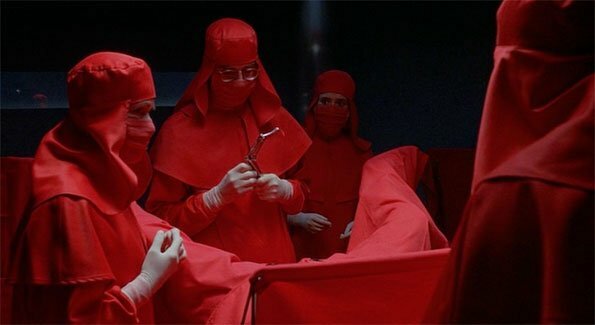 I think the funniest would be if Dead Ringers won best picture. It would be amazing. Stalker is surreal in the most subtle way possible, but certainly surreal. Von's lists, and other goofy trinkets.